Many airlines are fined by the Bulgarian Border Police because they are not aware of the liability to check if their passengers have a valid visa to enter Bulgaria. In most of the cases, the passenger has a valid visa to enter another EU country, but the flight to Bulgaria is just one of the legs of the journey. 2. The availability of visa for the country / countries that the passenger wish to visit or through which they wish to pass, if needed, in the case of airport transit or transit through the territory of the Republic of Bulgaria. (2) In cases where an foreigner is refused entry into the Republic of Bulgaria on the basis of default under par. 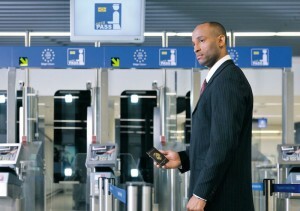 1, the carrier, transporting the foreigner is obliged at the request of the border control authorities at his own expense to return the passenger to the country from which he departed or to the country which has issued the travel document by which the foreigner has arrived, or in another country which he will be allowed to enter. In case the return can not be done immediately, the costs of stay the alien shall be borne by the carrier. As seen from the quoted regulation, the airline will not only be fined, but will also incur extra costs on returning the passenger to either place of departure or to the place of issue of the visa/passport or to a third country. According to the Bulgarian law, the penalty notice can be appealed in 14 days as of the day of delivery. Normally the delivery will be made to a representative of the airline. This could be also a ground handling company, acting on behalf of the air carrier.It is crucial that the air carrier appoints qualified aviation lawyer in Bulgaria to handle the litigation procedures in the local courts. Furthermore, any extra costs made by the airline due to of unlawful acts of the Bulgarian Border police, can be recovered in case of successful court appeal.